I got an email from Utopia, a South Bay-based Japanese-focused gift certificate store offering discounted certificates for South Bay and Japanese local businesses like Gaja (the okonomiyaki place), Robataya on Sawtelle, and Izakaya Bincho. They asked if I wanted to try using one of their certificates to visit a restaurant, and I do love Japanese food so why not! I was tempted to go back to Bincho but I figured I should use it to visit a restaurant I've never been to before so I opted for Hironoya in Gardena. 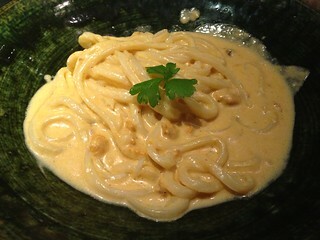 Hironoya sits in Tozai Plaza and seems to be visited by mostly Japanese. When I was there there was a reunion for some university in Japan and they proceeded to sing their alma mater song. 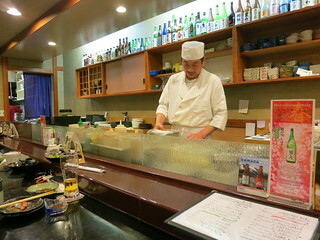 Hironoya serves sashimi, sushi rolls, tempura, udon and various other dishes, but no nigiri sushi. 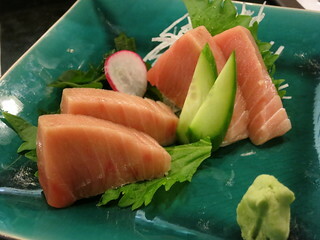 They did have some fresh fish, though so I tried their blue fin tuna toro sashimi ($18 for 4 pieces). Not as fatty as some other toro I've had but definitely fresh. 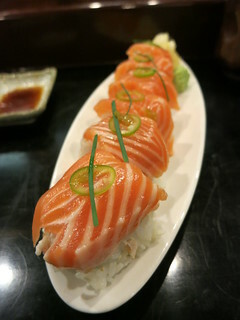 Also tried sea bream sashimi ($9) and a salmon roll, which were both pretty good. I haven't had sushi rolls in a while but enjoyed this one. 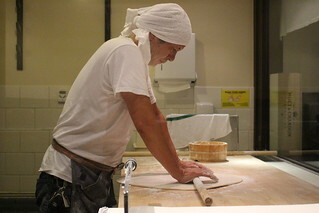 Tempura had always been an accompaniment to soba or udon for me, not a meal to order by itself .That is, until Hannosuke opened inside the food court of Mitsuwa Marketplace on Centinela. 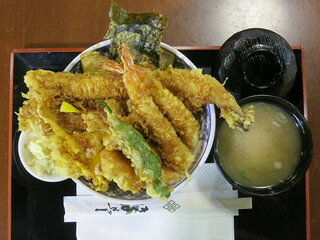 Hannosuke is an outpost of the tempura specialist in Tokyo, and the thing to get here is the Edomae Tendon ($12.95) (meaning Edo-style, Edo being the other name for Tokyo), a tempura rice bowl that comes with miso soup. 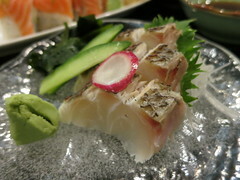 This upgrade from the Original Tendon that's $8.95 gets you anago (seawater eel) from Tokyo. See the longest piece of tempura up there in the bowl? That's the anago! Well worth the extra spending. 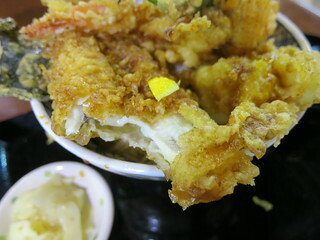 Both the seafood and vegetables inside and the batter outside are much better than other tempura you' d find in the area, and the tendon comes with a deep fried, soft-boiled egg that just brings everything together once you break it. 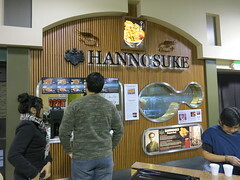 Hannosuke is definitely the place to go for tempura in West LA.